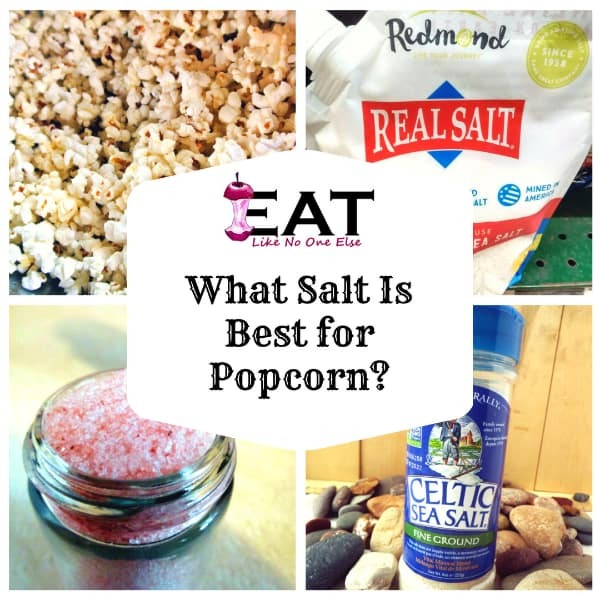 What Is the Best Popcorn Salt? It does not get much easier snacking when it comes to popcorn. As long as you know how to dress your popcorn. It’s not the butter that makes the popcorn – I know it feels wrong to say that. Or any special fancy topping. No, it all begins with the salt. 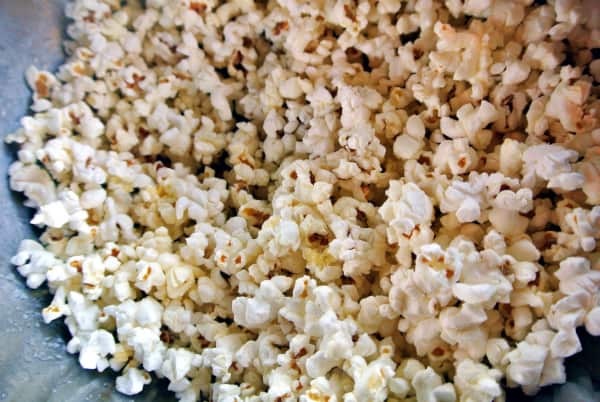 Without salt, popcorn has the same flavor as the “popcorn” you find in a package you received. This popcorn would not be as good as it looks without some really good salt on top. When it comes to salting popcorn you want to think small. You want the salt to be able to get into the little nooks and crannies of the popped kernel. You want the salt on the popcorn, not just laying at the bottom of the bowl. All my recommended salts are going to be of the fine ground variety. It should look like the grains of sand you find on the beach. Below I am going to share with you my two FAVORITE brand of salt for popcorning (that word is in the Eat Like No One Else dictionary). 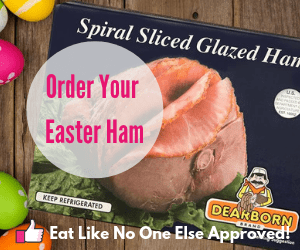 You should be able to find them in a grocery store in your area. Shake this salt on your popcorn and you will feel like your tasting popcorn for the first time. Selina Naturally sells a lot of amazing salt. 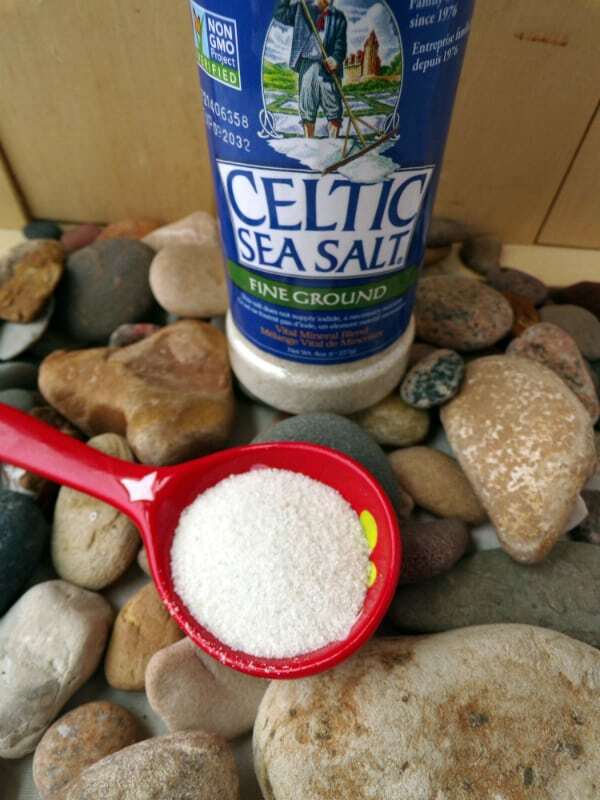 Celtic Sea Salt Fine Ground is their best for popcorn. Its a light grey salt, that they have finely ground. It the perfect size to make it into every crevice of your popcorn. It dispenses really easily from the shaker. 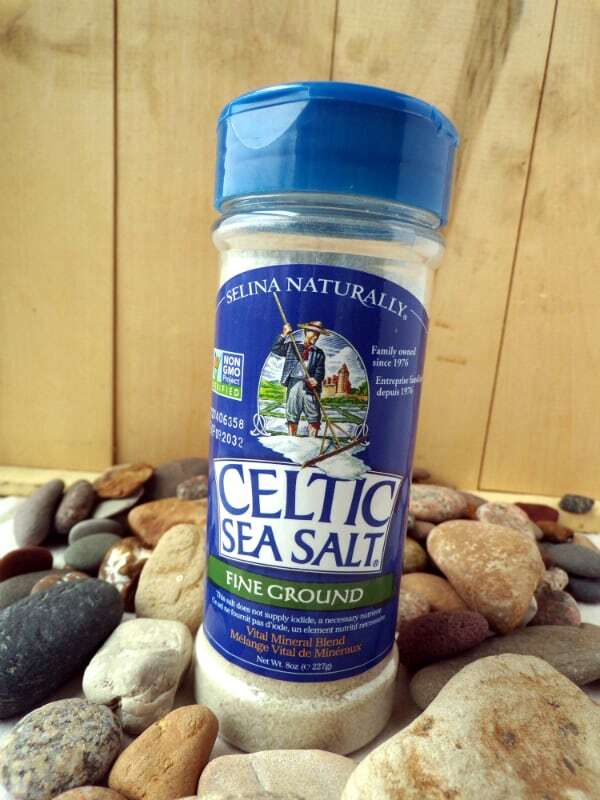 Celtic Sea Salt Fine Ground has a gray hue to it. Not as easy to see in the finely ground version, but definitely more noticeable in their coarse ground. What is Grey Sea Salt? Curious to why this salt is a light grey color? Most of us are use to perfectly white salts but some of the best ones have more color to them. The gray color comes from the clay lining the beds where the salt is harvested. It contains 80 vital trace minerals and elements that are so good for our bodies. They also give the salt it’s unique flavor. I have enjoyed a lot of popcorn with this “Real Salt“. I bought it for a foodie friend on a whim for Christmas one year. I was intrigued by the different colors in the container (hues of brown and pink). My friend told me how great the salt was on popcorn – it adheres really well to each kernel. He certainly was correct in his assessment. The salt brought life to my popcorn that was never there before. The flavor had more depth to it. It would be like having only 1 key on your piano that worked. It still makes a sound. Get the piano fixed and you can create something special. 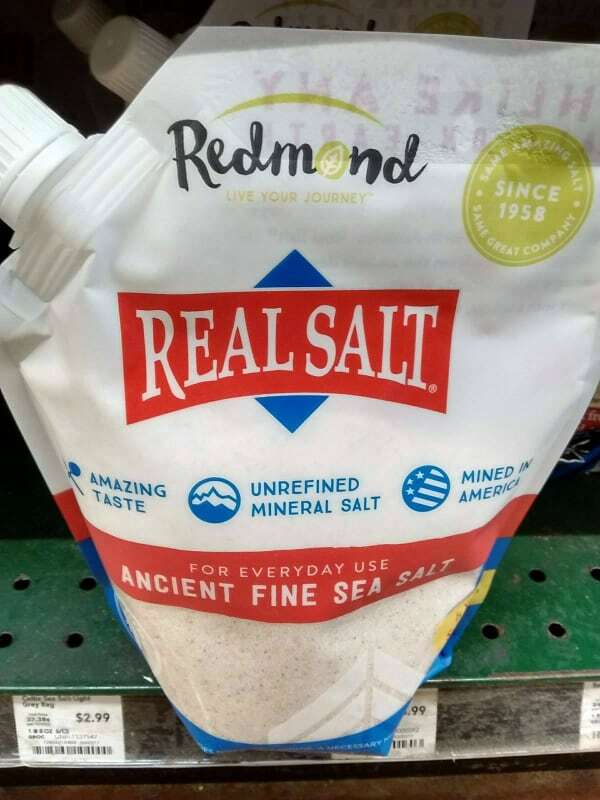 Why is it called “Real Salt”? The salt has nothing added to it or removed from it. 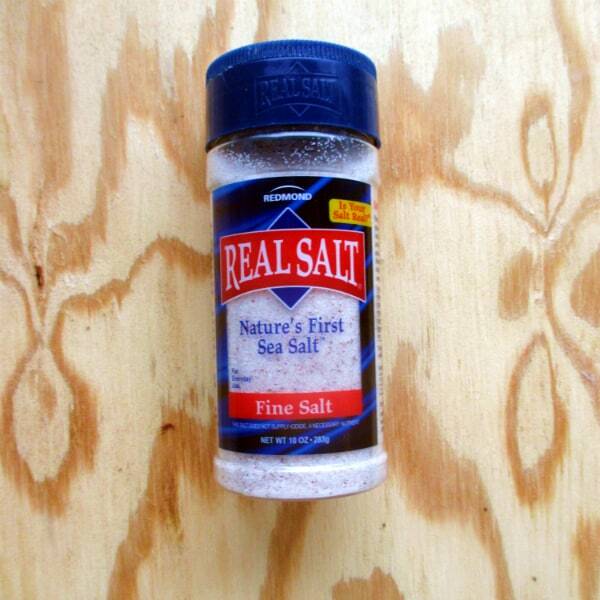 Table salt has all the trace minerals removed while Real Salt contains more than 60 trace minerals. It is these unique minerals that contribute to the salt’s flavor and nutrition content. They are removed in some salts, so they look uniformly white. To me table salt has a undesirable after taste. 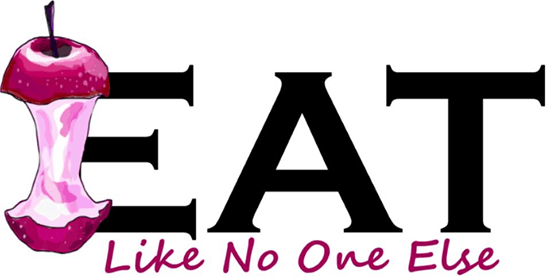 Real Salt has ever so slight sweetness to it, with no added sugar. It comes in container with a shaker lid. I love the lid because it has three different “settings” to control the amount of salt that comes out. Makes it easier to not over-salt. To save money you can also buy it in a 26 ounce bag and re-fill the shaker. There is not the time for kosher salt – which I as Alton Brown does calls kosher the workhorse of my kitchen. The flakes of kosher salt are just too big. 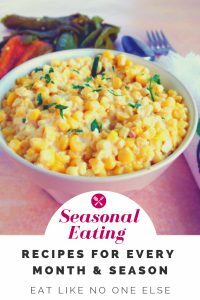 I have found that when it was the only salt I had one hand that it did not do a good job of sticking to the kernels. I ended up having to use more salt and still ended up with unseasoned popcorn – something very unsatisfying. You can buy salt labeled as generic popcorn salt, I have never found out that I liked. They are often just cheap salt that has been really finely ground. They get the job done but don’t enhance the flavor of the popcorn. Life is full of options, so let me give you more. 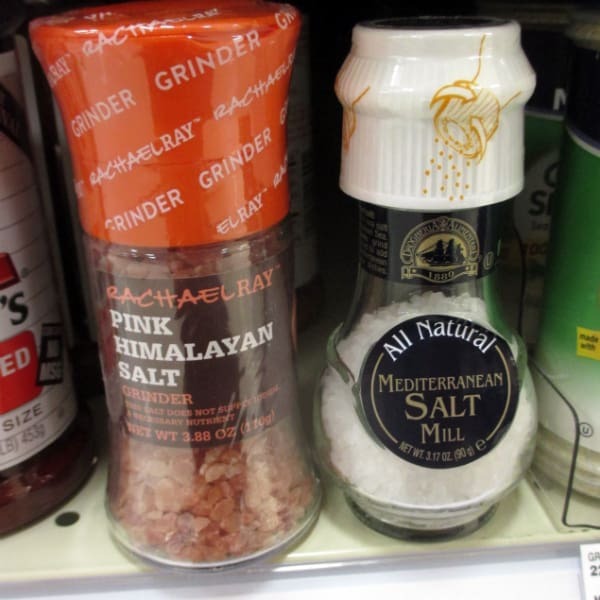 Salt Grinders – no you don’t have to buy Rachel Ray’s salt. It was just what I saw when I looking at the store at salt grinders. 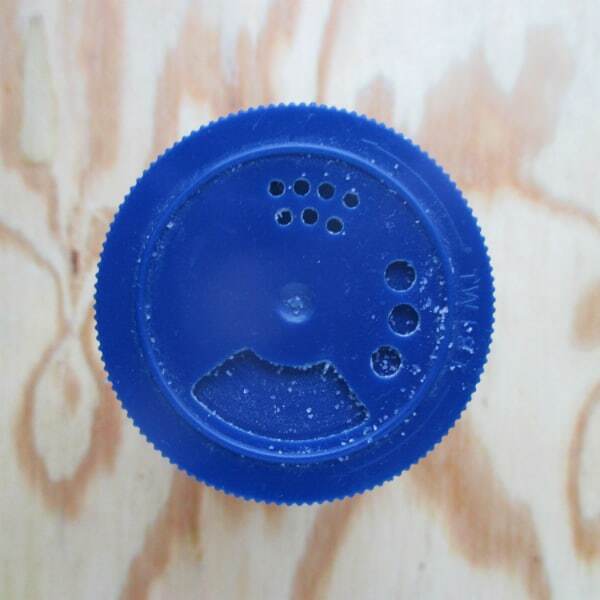 What you could do buy a salt that comes in container with a grinder on top. Grind it yourself for a fine grind for popcorn. Beware some of these salt grinders are cheaply and may not work as well you would like. What be a better option is use a pepper mill or grinder and fill it with salt instead. These grinders normally come with a nob on top you can adjust the grind of what’s inside. Pink Himalayan Salt that you can get a fine grind for is a good way to go. You can also make your own popcorn salt using a food processor or coffee grinder – check out my post on How to Make Your Own Popcorn Salt.